David Winston, "High in heart healthy anti-oxidants, Hawthorn is what I refer to as 'Food for the Heart'. It is one of my favorite tonics to strengthen the cardiovascular system." Hawthorn's indications include functional and organic heart weakness with pain, weak tonus of the heart muscle, angina, valvular insufficiency, mitral valve prolapse, venous stasis, poor capillary and venous integrity and varicose veins. Hawthorn lowers cholesterol levels, lowers blood pressure and prevents deposition of plaque on arterial walls. This herb may potentiate other heart medications, i.e. Lanoxin, Digoxin. Hawthorn is also of benefit for connective tissue disorders and ADD (disturbed Shen)*. Use cautiously with Beta-blockers or Digoxin-Lanoxin. Consult with a physician before using in patients with serious heart disease. Hawthorns indications include functional and organic heart weakness with pain, weak tonus of the heart muscle, angina, valvular insufficiency, mitral valve prolapse, venous stasis, poor capillary and venous integrity and varicose veins. Hawthorn lowers cholesterol levels, lowers blood pressure and prevents deposition of plaque on arterial walls. This herb may potentiate other heart medications, i.e. Lanoxin, Digoxin. Hawthorn is also of benefit for connective tissue disorders and ADD (disturbed Shen)*. Black seed has become popular due to interest in its oil, which can be used medicinally or cosmetically. Goji berries, also called lycium or wolfberries, are a well-respected tonic herb used as part of the centuries-old tradition of Chinese Herbal Medicine (TCM). A staple food of the Aztecs until the 16th-century, spirulina is now cultivated throughout the world. Maca has a rich history of traditional use as a panacea and is referred to as 'Peruvian ginseng.' Specifically, it is prized for its adaptogenic and nutritive qualities. Fermented Aloe Booster Powder is a gentle, daily detox and nourishing dietary supplement powder, blended with Aloe, Peppermint, Coriander, Cardamom, Artichoke, and Turmeric. New Chapter’s proven fermentation method delivers Aloe in its truest form, made easily digestible by fermenting with our clinically studied strains of probiotics. It can be added to any smoothie, shake, dressing, or parfait, adding nourishing superfoods to your daily diet. Thanks to adaptogenic properties, our expertly formulated Maca powder supports energy, endurance, and recovery for a daily boost. New Chapter’s proven fermentation method delivers Maca in its truest form, making it easily digestible. Plus, our fermentation process delivers additional benefits including immune-boosting beta glucans. Wheatgrass is a rich source of vitamins, minerals, chlorophyll, amino acids, and antioxidants. 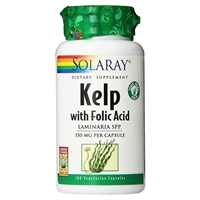 It gently cleanses and detoxifies while promoting general health and vitality.